NEVADA(USA) : Nevada State Assembly in Carson City started its day with a set of Hindu mantras on May 24, containing verses from world’s oldest existing scripture. Distinguished Hindu statesman Rajan Zed delivered the invocation from ancient Sanskrit scriptures before the Assembly. After Sanskrit delivery, he then read the English translation of the prayer. Sanskrit is considered a sacred language in Hinduism and root language of Indo-European languages. Reciting from Brahadaranyakopanishad, Rajan Zed said, “Asato ma sad gamaya, Tamaso ma jyotir gamaya, Mrtyor mamrtam gamaya”; which he then interpreted as “Lead us from the unreal to the Real, Lead us from darkness to Light, and Lead us from death to immortality.” Reciting from Bhagavad-Gita, he urged assemblymembers to keep the welfare of others always in mind. Assemblymembers, employees, public and others present were seen standing in prayer mode with their heads bowed down during the invocation. Wearing saffron colored attire, a ruddraksh mala (rosary), and traditional sandalpaste tilak (religious mark) on the forehead, Zed sprinkled few drops of water from river Ganga of India, considered holy by Hindus, around the podium before the prayer. Zed presented a copy of Bhagavad-Gita to Speaker Jason Frierson, who introduced Zed. In the State of Nevada, besides Nevada Assembly and Nevada Senate, Rajan Zed has already delivered Hindu prayers at City Councils of Las Vegas, Henderson, Sparks and Boulder City; Clark County Board of Commissioners and Carson City Board of Supervisors. Besides Nevada, he has also read opening prayers in United States Senate and US House of Representatives in Washington DC, various State Senates and State Assemblies/Houses-of-Representatives, various County Commissions and City Councils all over USA. Bestowed with World Interfaith Leader Award, Zed is a global Hindu and interfaith leader, who besides taking up the cause of religion worldwide, has also raised huge voice against the apartheid conditions faced by about 15-million Roma (Gypsies) in Europe. Many cities in USA have named October 25 as “Rajan Zed Day”. 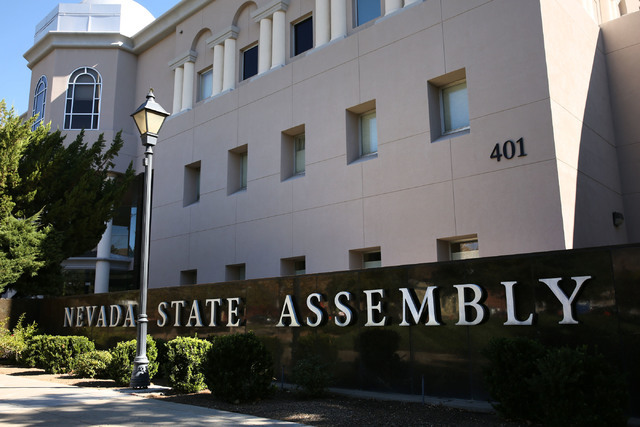 Nevada Assembly has 42 members. Nevada, largest gold producer and 7th largest state, was admitted to USA in 1864. Nevada, also called “Silver State”, is known for Las Vegas, Burning Man, Lake Tahoe, etc. Brian E. Sandoval is Governor.